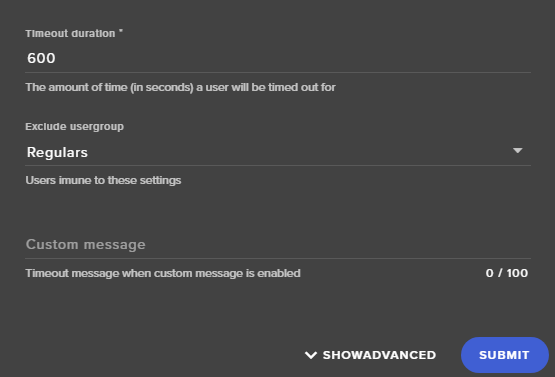 Spam Filters moderate the content of your chat. 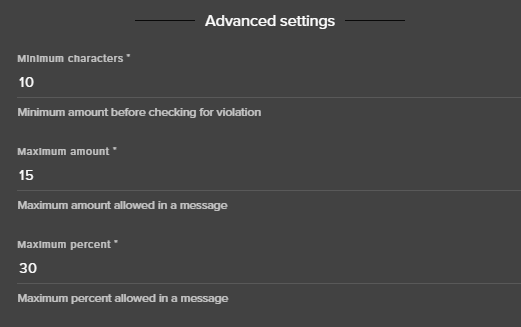 You can use the pre-set settings, from no filters at all up to "Strict mode". You can also use advanced settings to fully customize your filters. 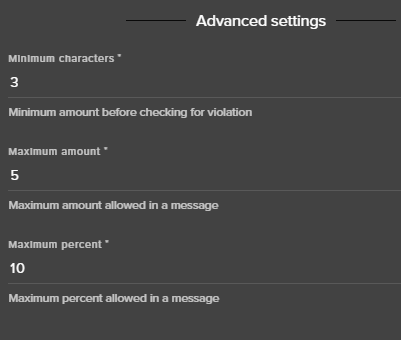 Emote Protection - Advanced settings Set a maximum amount of emotes in a message.